The Video Electronics Standards Association (VESA) has assembled a special interest group to establish standards for companies developing hardware and software for augmented and virtual reality services. The group aims to establish hierarchical structure for physical connections, data transfer protocols, software drivers and applications layers as it pertains to AR/VR services, define communication data structure and channel and collaborate with other standards bodies to advocate for changes in related standards. "It's exciting to see the growth in the AR/VR market, evident in such venues as the Consumer Electronics Show, which this year featured more than 260 AR/VR exhibitors with more show floor space than ever before," said Bill Lempesis, VESA's executive director, in a news release. "However, a key question remains—when and how will these products be able to play well with each other?" VESA has previously set standards for DisplayPort and Embedded DisplayPort, as well as Extended Display Identification Data for plug-and-play monitor functionality and DisplayID for 4K and higher resolution displays. Companies interested in joining the AR/VR group can contact VESA at info@vesa.org. 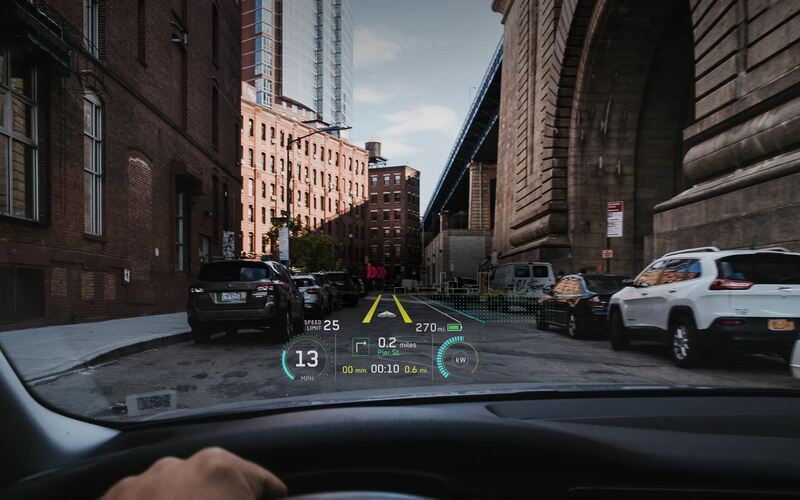 As part of the Automotive Display Market Focus Conference, held at the Los Angeles Convention Center on May 23 as part of the Society for Information Display's Display Week, industry experts will speak during a session devoted to heads-up displays (HUD) and augmented reality. During the session, Pablo Richter, principal technical expert, optical technologies at Continental Automotive GmbH, will discuss future trends and challenges for new augmented reality (AR) HUD concepts. Also, Michael Firth, marketing manager, Texas Instruments, will presented the company's Digital Light Processing (DLP) technology for use in HUD applications. Finally, Daniel Cashen, engineering manager, Daqri Automotive, will review trends for larger field of view and longer image distances in HUD technologies. For more information, visit sid.org. Smart glasses maker Vuzix Corporation announced this week the appointment Paul Boris to the role of Chief Operating Officer. Boris, a member of the Board of Directors for Vuzix for the past year, has served in several leadership capacities at General Electric, most recently as vice president of manufacturing industries for GE Digital. Before joining GE, Boris six years at SAP. "As Vuzix business continues to expand the importance of adding a seasoned and well respected sales and manufacturing executive became paramount and to that end, I am excited to announce Paul Boris as our Chief Operating Officer. Vuzix looks forward to leveraging Mr. Boris's unique skill set and leadership abilities to help carry Vuzix to the next level of excellence as an industry leader in augmented reality and wearable display technology," said Paul J Travers, President and CEO of Vuzix, in a statement.